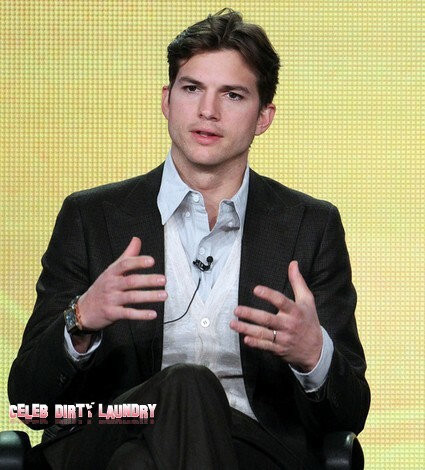 Ashton Kutcher has broken his silence on Demi Moore’s drug induced emergency hospitalization and has made it clear he really does care about his ex-wife. Despite reports that Ashton partied on while Demi struggled with an overdose, it turns out that he is “deeply concerned” about Demi. Since Demi announced her divorce from Ashton she has appeared to be in very fragile condition. No doubt her massive public humiliation when bimbo Sara Leal went public about her sexcapades with her husband sent in a downward spiral. Demi’s weight plunged dangerously – indicating serious emotional issues. Still we can not rule out the possibility that Demi’s medical emergency this week was a suicide attempt – nor can we say that she is out of the woods yet. While Demi was poisoning herself with drugs, Ashton was in Brazil to shoot a catalogue for fashion brand ‘Colcci.’ Ashton initially refused to comment when photographers asked what he had to say about Demi’s tragedy. His reticence to make public comment was taken by the media to mean that he did not care. Wrong! Demi left the Sherman Oaks Hospital earlier tonight. Her departure from the hospital coincides with Ashton’s return to Los Angeles. Can we expect Ashton to visit his ex-wife and offer her some comfort? Or will seeing the man she couldn’t hold just drive Demi deeper into depression?